"My life is in some congressmen's and some senators' and a president's hands right now"
A federal worker fighting cancer is counting her blessings after strangers paid her medical bills and rent for February. News4's Nicole Jacobs has the story. 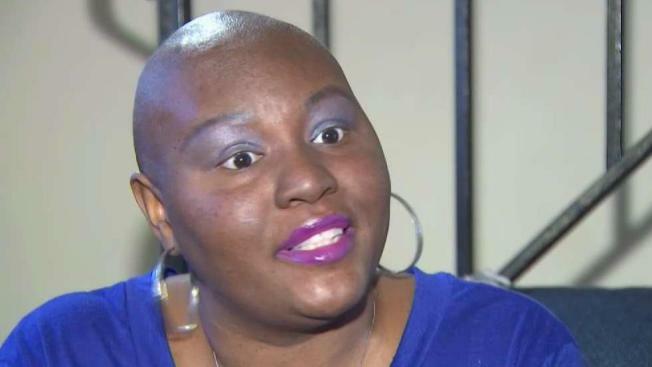 When the federal government shut down for what would grow to 35 days, Maryland mother of three Quashawn Latimer was fighting cancer. Without a paycheck, she was forced to make a devastating choice: Would she pay for chemotherapy or pay rent? She chose chemo. This week, after News4 and MSNBC told her story, Latimer learned that someone paid both her February rent and her medical bills. "Someone called in to the hospital and took care of my account. They wiped out my entire balance," she told News4's on Tuesday. "It is blessings, and it is a bright side to this, and I thank God for it." Latimer, a Navy veteran who lives in Millersville, Maryland, works in program analysis for the U.S. Department of the Treasury. She loves her job and was stunned by the government shutdown and the decision it forced her to make. "That was a very scary moment for me, having to make a choice between what I'm not going to pay to keep me healthy," she said. Latimer was relieved to hear President Donald Trump's announcement on Friday that the government would reopen. But she's nervous that it will get shut down again. "I’m holding on to every dollar that I have because I don’t trust it at this point," she said. Latimer got her final chemo treatment on Monday. In a video she showed, nurses and friends clapped and cheered for her. She said she hopes elected officials can be a source of support too, simply by paying federal employees. "My life is in some congressmen's and some senators' and a president's hands right now," she said. MSNBC's Mariana Atencio originally told Latimer's story.